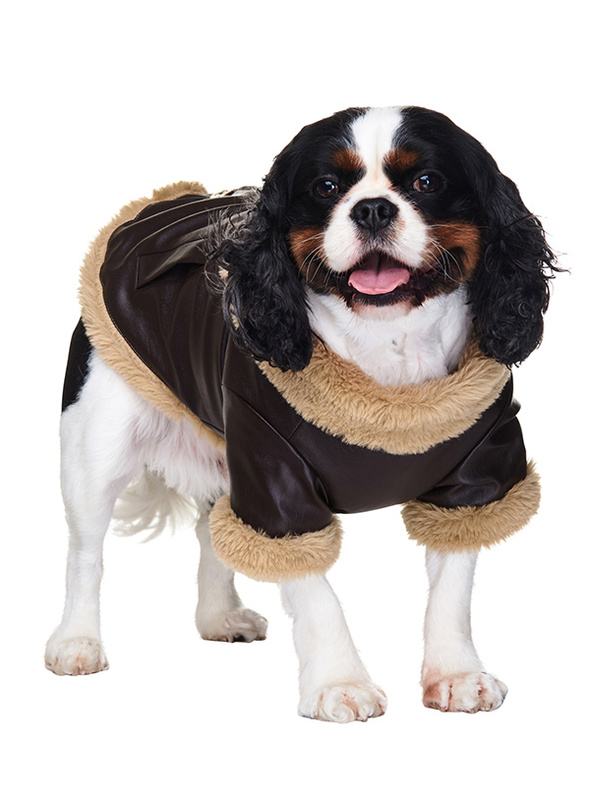 Our Luxury Brown Faux Leather Flying Jacket has to be the ultimate in dog coats. 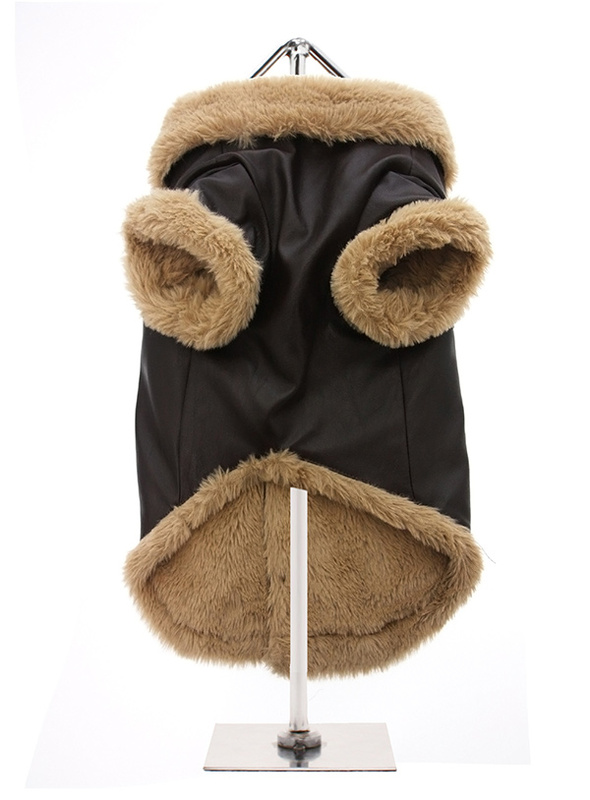 Made famous by the fighter pilots of World War 2 and they have been in demand ever since. 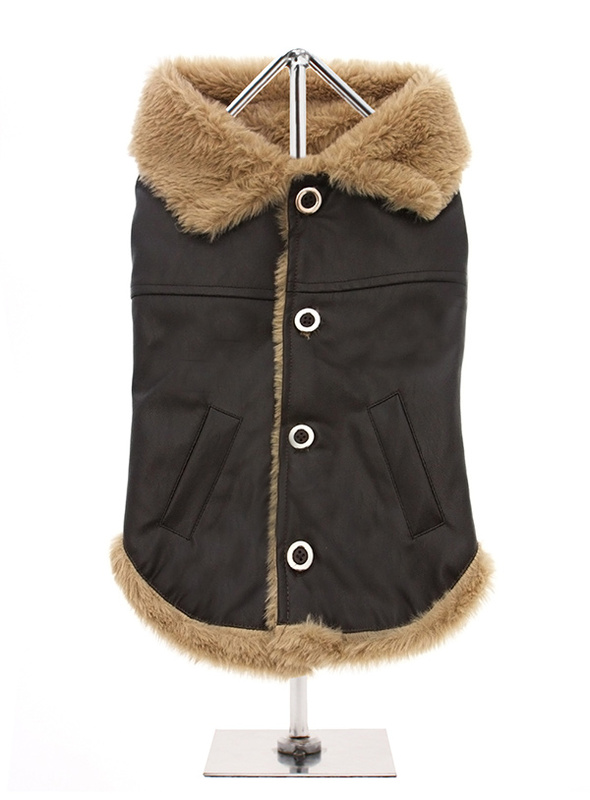 The front buttons make it very easy to take on and off while, the faux fur edging and pockets give it a real authentic look and feel. 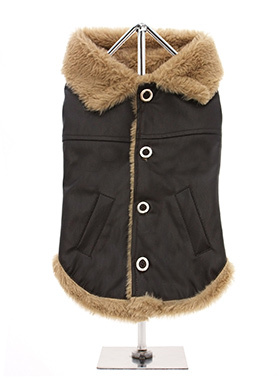 Military style clothing never goes out of fashion so your dog is always going to look the part in this robust but warm and comfortable faux fur lined Flying Jacket.